<p style="&quot;text-align:" justify;"="">Biosafety as currently discussed in the International “Convention on Biological Diversity” (CBD) and designed to create internationally binding protocols on biosafety. 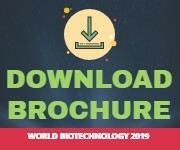 The application of biotechnology to food and agriculture can bring not only potential risks and benefits as any technology can, but also concerns about the human dimensions coupled with biotechnology. These include both positive and negative impacts on stake holders, social institutions, economy and communities. Different areas associated with biosafety include: (i) Agriculture and food system issues (ii) Market and consumer issues (iii) Institutional issues, business issues and (iv) Social issues. Biosafety is the prevention of large-scale loss of biological integrity, focusing both on ecology and human health. These prevention mechanisms include conduction of regular reviews of the biosafety in laboratory settings, as well as strict guidelines to follow. 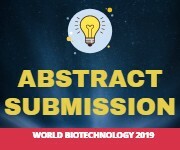 The international Cartagena Protocol on Biosafety deals primarily with the agricultural definition but many advocacy groups seek to expand it to include post-genetic threats: new molecules, artificial life forms, and even robots which may compete directly in the natural food chain. ‘Biosafety’ means the need to protect human and animal health and environment from the possible adverse effects of the products of modern biotechnology. Bioethics is the study of the typically controversial ethical issues emerging from new situations and possibilities brought about by advances in biology and medicine. It is also moral discernment as it relates to medical policy and practice. Bioethicists are concerned with the ethical questions that arise in the relationships among life sciences, biotechnology, medicine, politics, law, and philosophy. The scope of bioethics can expand with biotechnology, including cloning, gene therapy, life extension, human genetic engineering, astroethics and life in space, and manipulation of basic biology through altered DNA, XNA and proteins. These developments will affect future evolution, and may require new principles that address life at its core, such as biotic ethics that values life itself at its basic biological processes and structures, and seeks their propagation.